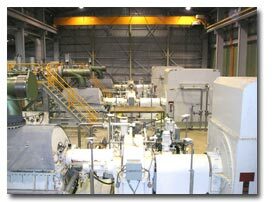 From the mid-1980s and throughout the 1990s, GDA provided the principal engineering services to Geothermal Power Company, Elmira, New York, for its supply of unused US military marine turbines for geothermal power generation in Indonesia, Philippines, as well as Nevada and Utah in the United States. Since 2002, GDA has assumed sole responsibility for providing whole geothermal power plants internationally, varying in size from 2 MW to 50 MW. Additionally, GDA custom designs control systems to accompany GDA-supplied turbine generator (TG) sets for monitoring not only the TG sets and their auxiliary equipment but the balance of plant equipment as well.